INTERACTIVE SQUARESPACE WEBSITE DESIGN WITH DONE-FOR-YOU COPY. You’re busy. Our clients are busy. You provide existing brochures and marketing material. We do the rest. We built this website to reflect Kelly’s edgy, quirky personality while speaking to her target audience of women who want to strut to financial independence. We built Kelly’s website to stand out in a way that positions her as an authority on life hacking her way to financial independence… in heels. 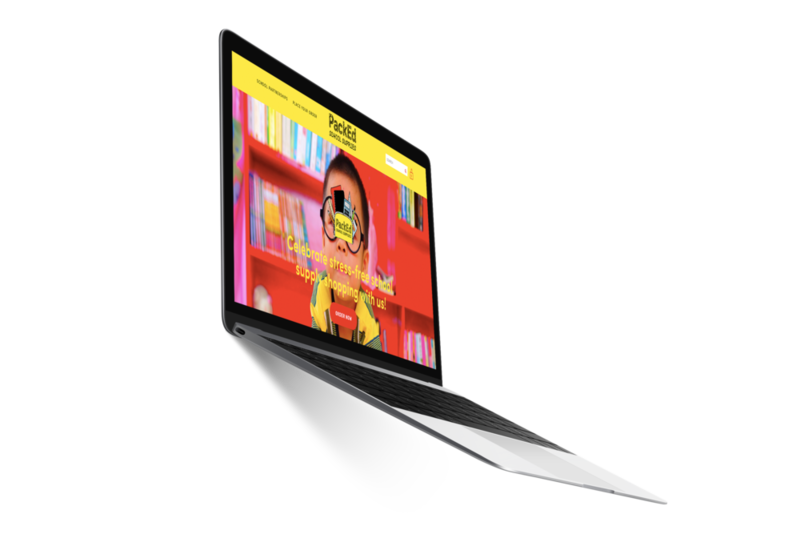 We built PackEd a brand and website that makes school supply shopping stress-free. Our goal was to communicate to parents and educators that school supply shopping can be easy. NOW IS THE TIME TO STOP PULLING YOUR HAIR TRYING TO BUILD A WEBSITE. Let’s create your perfect website together.